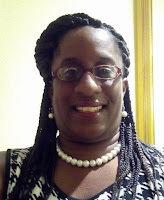 Chief of Police Daniel Carbon, Deputy Chief Davidson Valerie, Inspector George Theophille and Chief Magistrate Mrs Candia Carette-George are bent on doing dirty work for Roosevelt Skerrit. They are using the Police Force and the Court to assist Skerrit in his desperate quest to remain politically relevant. Every poll shows that Skerrit will lose the next general elections and he is trying to see how he can frustrate and distract the UWP with a comical court matter. In Skerrit’s head, the UWP attempted to overthrow his government with a dump truck and a sound system on February 7, 2017. How delusionally pathetic?! Since then Skerrit has become relentlessly reckless in his mental state of despair. He got the police to harass, arrest and charge some opposition members. During the second quarter of 2017, Skerrit spent $88,500.00 to engage four investigating officers under the Regional Investigative Management Systems(RIMS) to further investigate his Mickey Mouse overthrow. In May 2018, he went to Parliament to seek approval for the money he wasted under the Ministry of National Security on his silly investigation. On September 20, 2018, six members of the UWP, including Toutou-Pou-Nanna, Joseph Isaac were brought before the Magistrate’s court on charges of obstruction and incitement. Opposition Leader & Leader of the UWP Lennox Linton, Deputy Leader Joshua Francis and retired former Acting Deputy Chief of Police & now General Secretary of UWP Nicholas George pleaded not guilty before Magistrate Asquith Riviere. The matter was adjourned to March 28, 2019 with disclosure to be made by the end of 2018. Former Prime Minister, Edison James and Sen. Dr. Thomson were out of state. While, Toutou-Pou-Nanna Isaac was in Roseau and refused to appear before the court because he non-resilient allegiance was cheaply purchased by Skerrit. Imagine Delusional Skerrit spent over $300,000 to hire Senior Counsel Israel Khan and two junior lawyers from Trinidad to lead on this matter along with the Office of the DPP and the Police. To hire a Senior Counsel from Trinidad to do a matter in the Magistrate’s Court is a clear manifestation of Skerrit’s Desperation on steroids. Skerrit and the DLP will lose the next general elections, so he is trying everything to delay the inevitable. Suddenly, Delusional Skerrit got the court to move up the matter that was set for March 28, 2019, by 5 months to November 22, 2018. How can the legal system allow Skerrit to disobey the order of the court and get an officer of the court to move the date of a set matter to satisfy Skerrit’s desperate political ego? Where is the Bar Association? Skerrit has his tentacles in the Judiciary, the same way he is using these tentacles to undermine other critical national institutions, while the silence of the legal fraternity is deafening. It seems like Dr. Dr. Skerrit has castrated the testicular fortitude of the Legal Fraternity in Dominica. 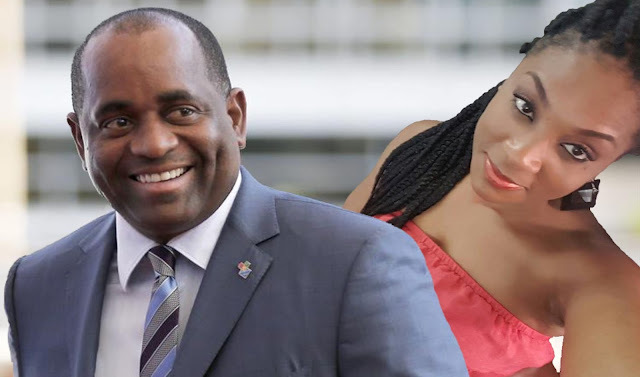 The desperation of Roosevelt Skerrit has move up some levels. With the help of Carbon, Valerie and Theophille, who is the investigating officer, they are trying to fabricate evidence in a last effort to try to convict members of the UWP. Can you imagine that these three officers are writing misleading statements and want other police officers to sign them? Majority of the officers are reluctant to sign these fabricated statements because they are grossly misrepresenting what they actually witnessed. Some of the officers wrote their own statements and were directed to make changes to suit the agenda of these rogue cops. We were reliably informed that on the morning of Saturday November 10, 2018 in the Conference Room of the Police Headquarters, the three Rogue Cops were expected to lead the Case Fixing discussion for the sham that will take place on November 22, 2018, but the inclement weather pushed it back. The case fixing mischief took place on Sunday November, 18, 2018, when the compound of the police headquarters was practically empty. The whispers coming from the walls of the police force are that principled officers are not in them fellas business. They are there to protect and serve every Dominican and not to move to the sick and desperate drum beat of a troubled internationally marked Prime Minister. Recently, during a press conference, Chief Magistrate, Mrs Candia Carette-George sealed the political stamp on this matter. Mrs Carette-George said it is normal practise that people asked for date changes and determining on the reasons, the changes are granted. But she refused to say who asked for the said date change and the reasons why it was granted. The defendants or their lawyers in the matter were never contacted about the date change instead they were summoned to appear in court on November 22, 2018. This is a clear example of a spineless and tainted judiciary. The Chief Magistrate appears to be serving Roosevelt Skerrit and not the dictates of her office. So far Delusional Skerrit has spent almost half a million dollars on this ridiculous coup attempt with a dump truck and sound system. This is a vicious abuse of the limited financial resources of the state and the judicial system. Every right thinking Dominican should aggressively condemn this calculated mischief being directed by Skerrit through his Parrot Police Force and his Manicou Court. We should not allow this hijacking of the legal system to continue. We should all stand up, brace up and plant our boots firmly on the ground to stop this one man guided madness that is going. November 22, 2018, presents a perfect opportunity to stand up for Dominica. Remember the date, Thursday November 22, 2018!! I wish I was in Dominica to show my support for the UWP Opposition leaders. I wish to see the day you pay the ultimate. How the hell Candia carrette George become chief magistrate in that short space of time. Devil worshippers all of them.